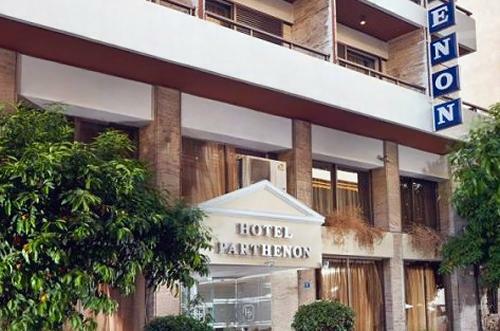 Hotel Parthenon possesses one of the most enviable locations in Athens, on a small quiet, side street, off the pedestrian zone that leads up to the Acropolis and the Plaka and a short walk from Syntagma square and most of the sights of Athens. The Parthenon offers comfortable accommodation in 79 rooms renovated in the years 2003 & 2004. 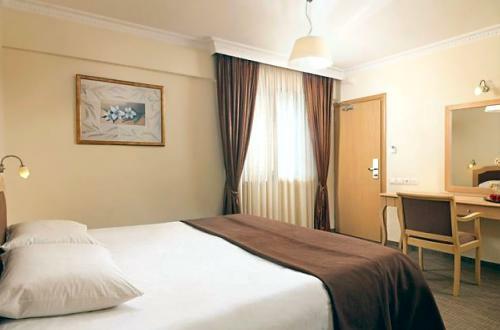 All units are very spacious (20 sq. 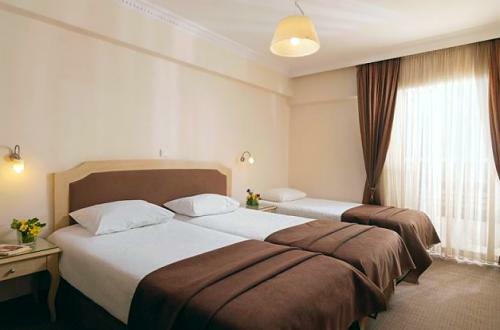 m. on average) and have many amenities: private facilities with bathtub, magnifying mirror, hairdryer and complimentary toiletries, direct dial phone, air-conditioning, LCD TV, tea and coffee making facilities, mini bar, safe deposit box and Wi-Fi Internet access. 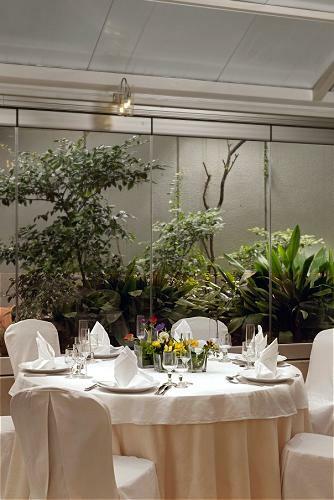 The spacious reception & lobby area opens out to a green atrium, where one can enjoy a drink or coffee ordered at the bar. 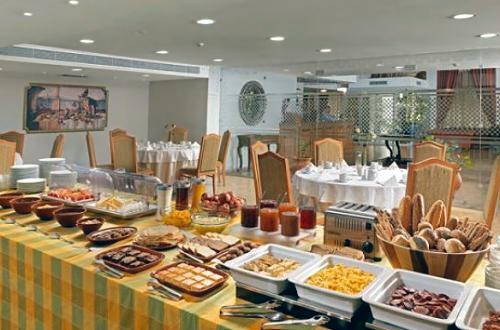 Breakfast is buffet, served in the restaurant that also offers lunch and dinner. 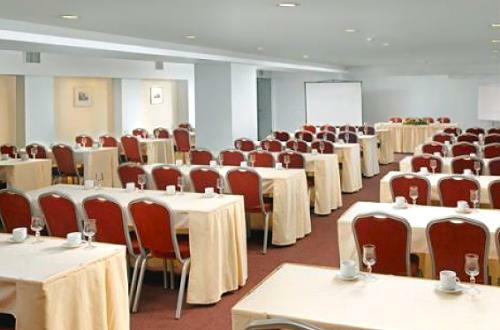 The hotel has meeting and conference facilities for up to 100 persons. Parking is difficult in the area but given how close the Acropolis metro station is (150m), we do not recommend taking a car anyway! Nice hôtel a few hundred meters from the Acropolis. Excellent service. What might seem an average, clean, neat hotel (beautifully located on the flanks of the Acropolis) but made truly excellent by a friendly, engaged staff.